November 2018 Trestleboard – Denver Lodge #5 A.F. & A.M.
I’d like to first say “thank you” to everyone from Denver Lodge No. 5 for making the trip to Cheyenne Lodge No. 1 for their 150th year anniversary. A truly delightful time was had by all. 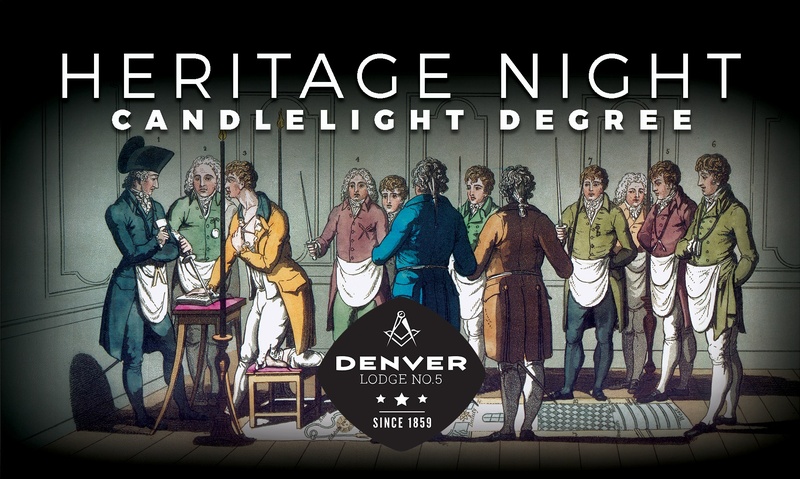 The first recorded meeting of Freemasons in what was to become Denver Lodge No. 5 was held on November 3rd, 1858. To commemorate that glorious time, we celebrate our first meeting in November as our Heritage Night and Candlelight Degree. This year’s Heritage Night falls on November 1st.Lodge will open on the EA degree at 5:30 pm to take care of business. We will break for dinner at 6:30 pm and afterward, return to Lodge to confer a special Entered Apprentice Degree done by candlelight to recreate the atmosphere our Founding Brethren would have experienced in 1858. We also have the honor of hosting the Most Worshipful Grand Master, Phil Moss and his Officers for their official Grand Lodge visit. As in last year’s Candlelight Degree, while not required, we encourage the Brethren to come dressed in their finest Victorian-era fashion for our period correct costume contest. The winner for “Best Dressed” will have their Denver Lodge No. 5 dues paid for 2019. We encourage everyone to attend this fun annual event. Please RSVP with our Jr. Warden Kevin Trabert. Our second Stated Communication will be held on November 15th. We will hear proficiencies from two hard working Entered Apprentices. Dinner will be served at 6:30 pm and Lodge will follow at 7:30 pm. Please plan on attending to support these Brothers as I’m sure we can all sympathize with how nervous they may feel. RSVP with our Jr. Warden Kevin Trabert.